Welcome to Contractors Seminars, Inc. Online Bookstore - the largest supplier in the Carolinas. Our bookstore covers all your needs in the constructiion trade. Up to date Code books and many more reference materials allowed to be used on the PSI Exams. You can also register for all seminars online. 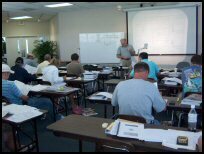 Contractors Seminars, Inc. offers comprehensive courses for contractors, which cover the plans, math and estimating, material take off, load calculations, isometrics, and a complete set up of construction reference books and materials which are allowed to be used on your exam and can be taken into the examination site. Our 100% Satisfaction Guarantee: If you fail the examination after taking our seminar, you may return to any one of our seminars within a two year period without charge until you pass the exam. Reminder: NO REFUNDS ON DVDs.